Over 350,000 deaths were reported in the 38 Chinese cities chosen for the study in three-and-a-half years, said the researchers. PARIS: China can avoid three million premature deaths each year if it slashes a type of fine particle air pollution to UN recommended levels, a study said Wednesday. 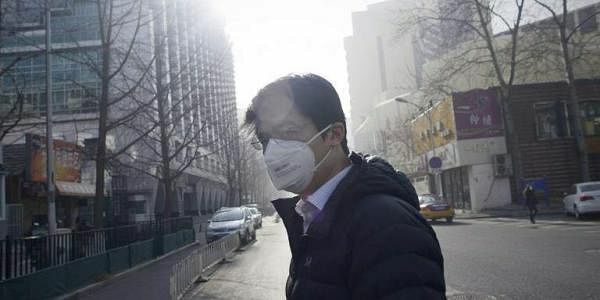 The average daily particle concentration in 38 of China's largest cities between January 2010 and June 2013 was about 93 microgrammes per cubic metre (ug/m3) of air, researchers reported in The BMJ medical journal. This was way over the World Health Organization (WHO) standard of 20 ug/m3. The measurement applies to so-called PM10 particles, which are less than 10 microns or 10 millionths of a metre across -- several times thinner than a human hair. Generated by the burning of coal and oil in cars and power plants, but also forest fires, volcanic eruptions and dust storms, airborne fine particles can penetrate into the airways to cause respiratory problems. They also blacken buildings and contribute to acid rain. They calculated that every 10 ug/m3 increase in daily PM10 concentrations was associated with a 0.44-percent rise in daily deaths, mainly from cardiorespiratory ailments such as asthma and chronic lung disease. People over 60 had a higher risk of death from particle pollution, and women were more affected than men, said the team. Extrapolating to the country as a whole, China "would save three million premature deaths each year" by reducing the daily PM10 level to the WHO standard, they calculated -- likely a conservative estimate. Premature deaths are defined by researchers as people dying before reaching a certain, expected age for their peer group. Many of these deaths are considered preventable. "Our findings suggest that adopting and enforcing tighter air quality standards in China will bring about tremendous public health benefits," said the study. China, India, Iran and Indonesia are among the countries hardest hit by air pollution. New Delhi, for example, has been known to exceed PM10 levels of 700 ug/m3. Another important measure of air pollution is so-called PM2.5 fine particles, whose diameter is 2.5 microns or less. They are a particular source of worry for health monitors as they are light and tiny and can reach even deeper into the lungs. The study focused on PM10 pollution.